What are the Dean’s Undergraduate Research Awards? 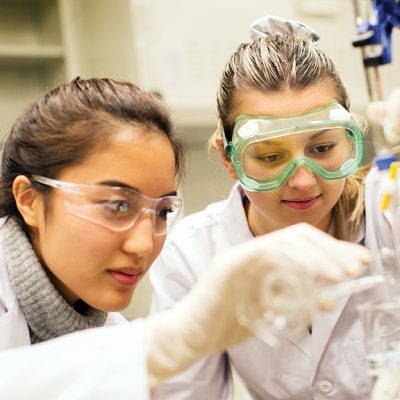 The Dean’s Undergraduate Student Research Awards (DURA) were created to provide more opportunities for undergraduate students in the Faculty of Science to gain hands-on research experience. They provide 16-week positions (paid, full-time) for students to work in a York University research lab over the summer. Students who apply for a DURA must first secure the support of a faculty supervisor, who agrees to host the student in their research group and to pay a portion of their salary. For summer 2019, the Faculty is offering 12 DURAs, in addition to 24 Undergraduate Science Research Awards from NSERC. enhance the research culture within the Faculty. How can you support DURAs? There is a significant unmet demand for undergraduate summer research positions. Given that there are more highly qualified students each year than the Faculty is able to support, we are asking friends of the Faculty to assist us in funding as many positions as possible. The cost for each student is $4,500, which is then matched with $1,125 pledged by the research supervisor, to fund each student at $5,625 for the summer. Donors or groups of donors can invest in one or more DURA, or make a donation in any amount to support a portion of one DURA.